Life has been really busy these past few days. I had to get into a new routine with the kids starting back to school, a load of errands to run and a big to-do list of chores. It's been hard for me stay focused to eat low-carb and healthy since I'm just making lunch for myself these days. So the other day when I looked around my fridge for something quick to eat, I was not inspired at first. 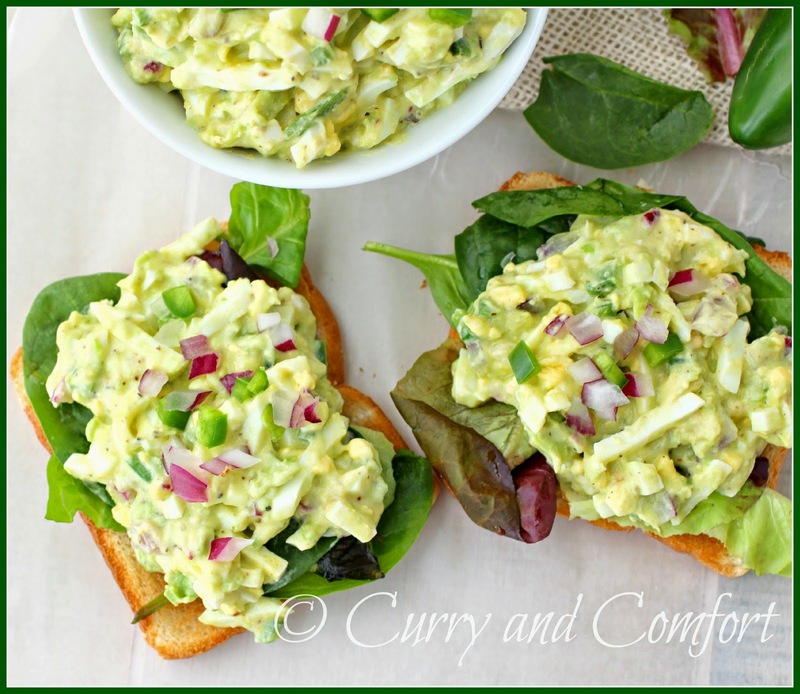 I always try to keep some boiled eggs on hand for a quick meal so an egg salad sandwich sounded okay enough... but a bit boring. Then I spotted a ripe avocado sitting on the counter looking very inviting. 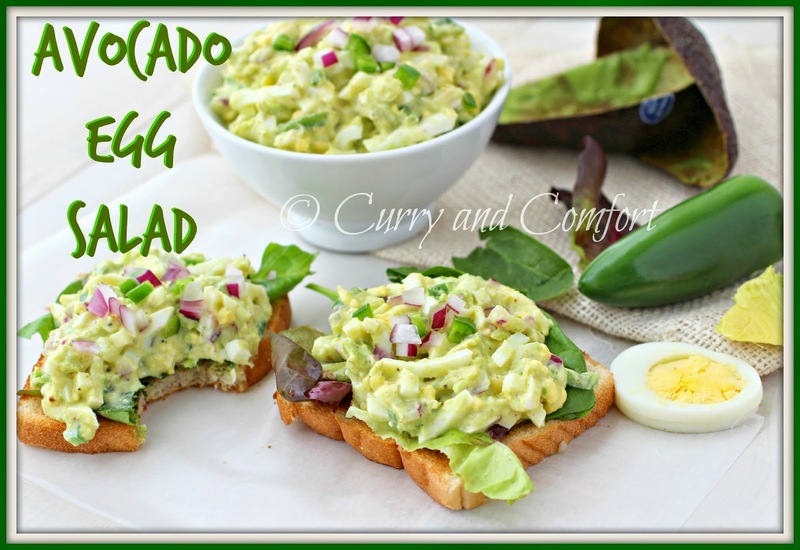 Since the avocado deviled eggs I made a while back were a big hit, I decided to make a egg salad and avocado sandwich. I only meant to eat one slice of bread, but I must say the sandwich was so yummy that I ate the 2nd slice as well. 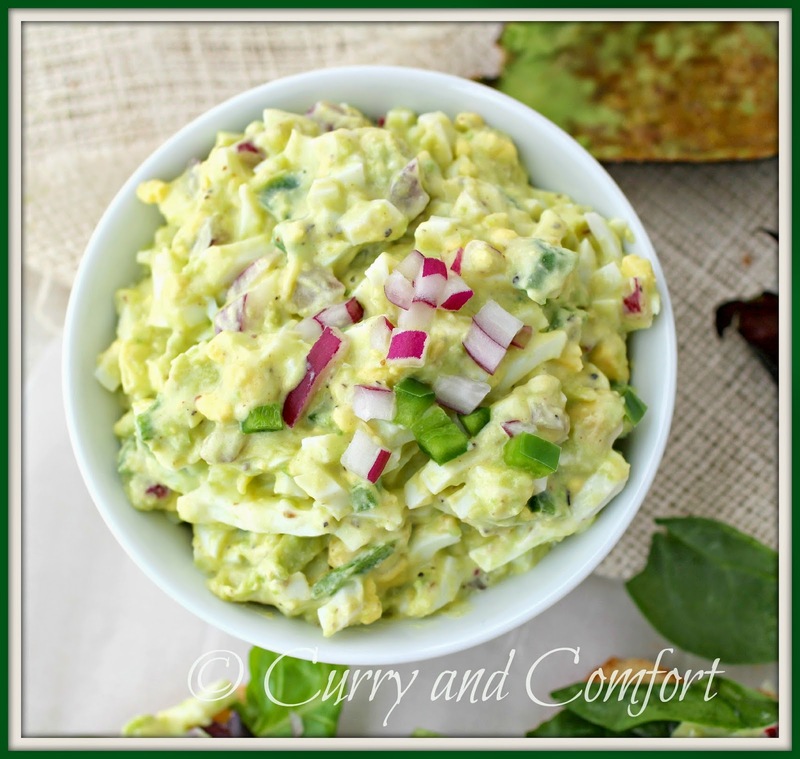 I was not the only one in the house that enjoy this lovely creamy egg salad. The kids loved it as a perfect after school snack and my husband ate it for lunch the next day at work. *Any style of bread of your choice (low-carb, whole grain, gluten-free) . I like the bread toasted and to serve the egg salad open faced as shown. Boil eggs, cool and peel. Then chop egg for salad. Next smash avocado with some salt and lime juice. 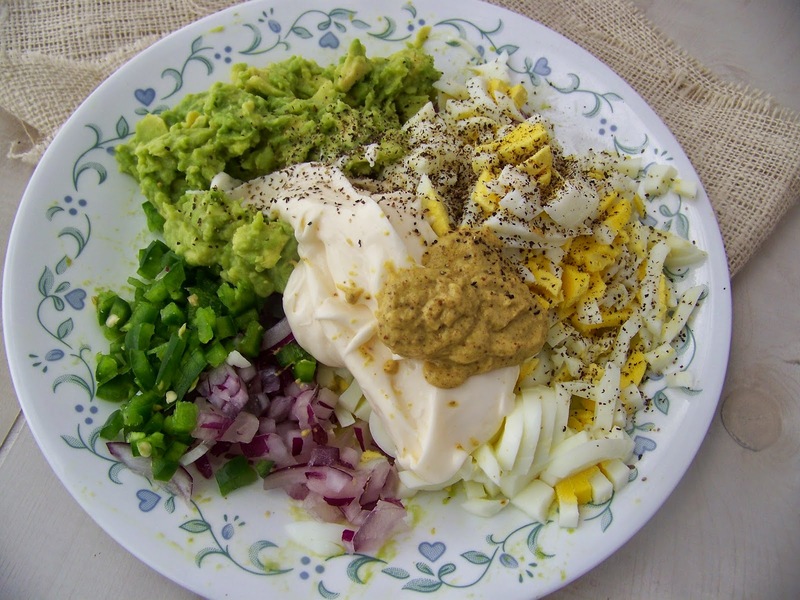 Then add the finely diced jalapeno and onion, mayo, mustard, salt and pepper to taste. Serve with bread (toasted bread is recommended). 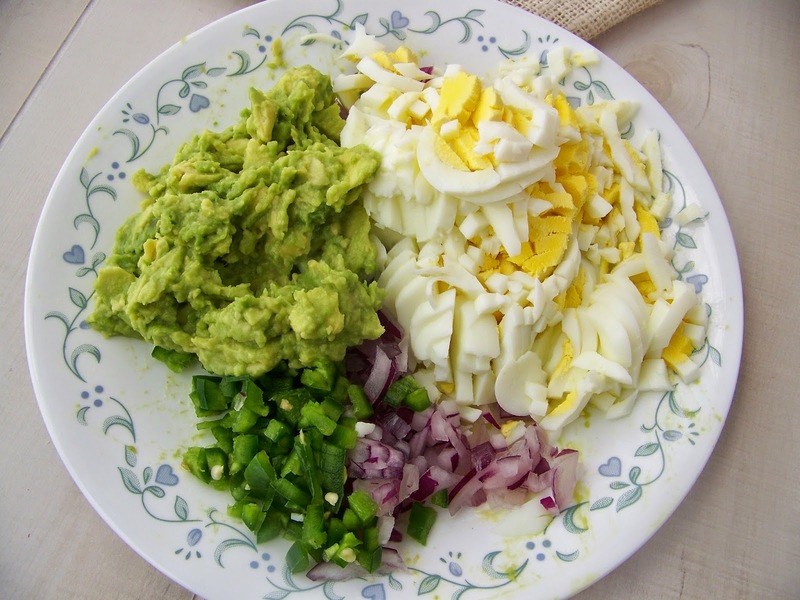 Garnish with lettuce on the bottom and more fresh onion and jalapeno on top. Enjoy. Note: To boil the perfect hard boiled egg. Place eggs in enough cold water to cover them and bring to a boil for 1 minute. Then turn stove off and cover pot for 10-12 minutes. Next drain hot water, replace with cool water and crack and peel eggs. 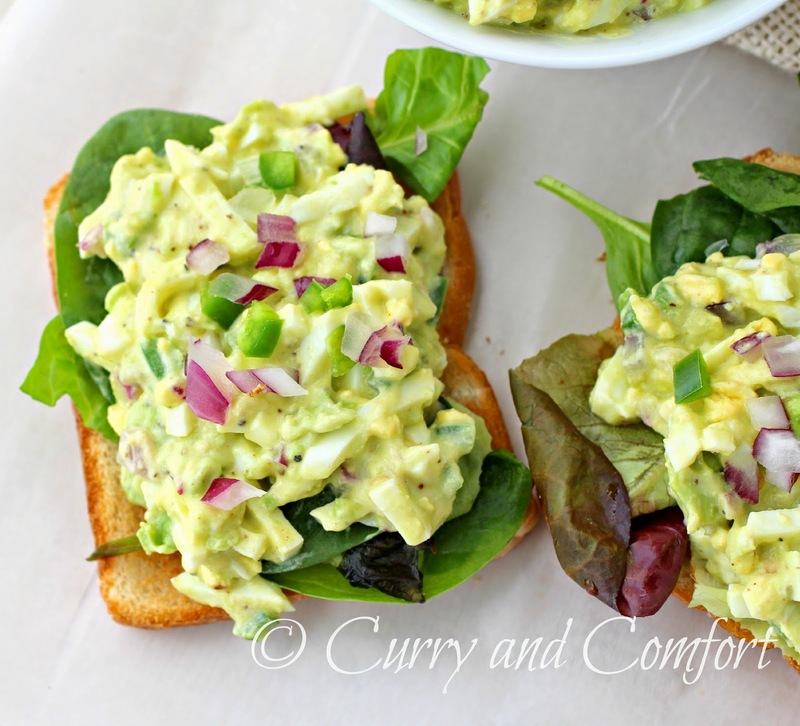 Avocado sounds like a super delicious way to make egg salad even creamier and heartier! Great idea, Ramona! This looks very filling I can see why it was a big hit!